I wrote this post a couple of years ago. However, several of my posts were deleted when WordPress did an update so I am republishing it now. Not too long ago my husband and I were able to attend a brief event at my youngest daughter’s preschool called “Pastries for Parents”. I wear my Sunday best. After the pastries we watch the sweetest processional of children march, I mean dawdle, up to the front of the room, get up on stage, and perform “teddy bear picnic” songs. I beam as I watch my little two-year old look around and occasionally do a motion or sing a few words to the song. I seek her eyes, hold her gaze for brief seconds at a time, and with my expression attempt to tell her that I love her so much, that she is my favorite up on that stage, and that I could not be prouder. I linger after my husband leaves for work, watching the little tikes file off stage to go back to their classroom. I fight happy tears as I hug her goodbye and walk out into the sunshine, holding my head up high so that the tears can roll back behind my eyelids. It is over too fast. She’s my youngest. I know how this all works. It is always over too fast. During the performance, I smile big and feel my breath catch as her class starts to sing one of my favorite preschool songs. And a fuzzy little tail. Guess we’ll go through it. Then they repeat the chorus and go through the same sequence with a peanut butter river and a Jell-O swamp until they come to a cave where they encounter the actual bear, turn around, and run back through the swamp, the river, and the factory where they arrive back home. I had just talked about this song with a friend of mine the previous week. We were talking about grief over any sort of loss and about walking with someone through it in various counseling situations…and about walking through it ourselves. It seemed providential in some sort of way that a week after that conversation my daughter was singing that song up on stage. We learn the most profound things in our early years. Life is a never ending stream of transition, loss, and grief. A stream of bear hunts. Sometimes thrilling. Often sticky, icky, and slow. These things are not the exception, sweet one. That is no deterministic, fatalistic appraisal. It just is…and seeking for, believing for beauty in the midst of the heaviness…in the midst of the sticky, icky, slowness…is one of the most faithful, brave things any of us can ever do. There’s no way around it, no way under it, no way over it. You just have to go through. It is mostly sticky and icky and slow as peanut butter. Somehow we get to the other side. We just wake up and we made it. Again and again and again. We went on another bear hunt and lived to tell about it. I once heard a story about some tribal community in Africa. A westerner was observing them cross a river. The westerner noticed that each person prior to crossing the river would place heavy stones on their heads. I am a big proponent of joy and even positive thinking, but it must be joy in context. Sometimes we need stones to keep us grounded. 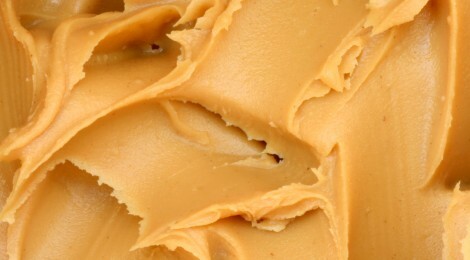 Sometimes we need the peanut butter river to slow us down. A few weeks ago we watched Inside Out, which I have been putting off for what I think are some pretty obvious reasons. This movie highlights the emotional parts of our selves and how they work together. It does it in this truly brilliant way using a framework related to a theory called Internal Family Systems. Internal Family System acknowledges that we have parts of ourselves that work together to help us survive. We have a true “core self”, but that core self is influenced by parts of our selves that originate from past experiences and different emotions we carry. The movie highlights these dynamics at a crucial time for our emotional development…adolescence. The protagonist is an 11 year old girl. This movie is a therapist’s dream. I had been excited to see it, but knew I would ball my eyes out at some point. I mean…the protagonist is an 11 year old girl who moves away from her friends and family to a new town because of her dad’s job. I have a daughter who recently, at 11, moved away from friends and family to a new town because of her dad’s job. I just wasn’t sure if I could handle how close to reality it was for me (and for her). So when my kids asked to watch it on a Saturday I said yes, but inside I was like…oh no. Sure enough I found myself running out of the room so I could cry. Then I just gave up. My kids are accustomed to my tears anyway. I guess I have done an exceptional job at normalizing tears. There’s a positive reframe for the win! Up until the point the movie takes place all of the memories for the little girl have a positive spin on them…because “Joy” has always insisted on being in control in order to protect the little girl. However, through the movie you see “sadness” revealing great wisdom. Sadness has a way of giving context to joy. It brings depth and meaning to situations…and because Joy was doing anything possible to keep Sadness (also a character in the movie) at bay, Joy was also stealing this depth and meaning from the little girl. One of the beauties of the age they chose for the protagonist is that adolescence is when we take a giant leap in our ability to handle…to tolerate…the “both/and”. We become aware that this world is not a world of “black” and “whites”. There is pain. Things are not always fair. In order to grow in to a healthy, whole adult we have to learn to tolerate these tensions and sit with them. People who start using alcohol and drugs during adolescence numb these tensions out…they do not learn to sit with these tensions as readily. Some people say that an addict is emotionally the age at which they started their drug because their emotional growth stopped. They put off doing the emotional weight lifting of adolescence that is so important to emotional growth. So if an addict started using at age 14 when they are 45 they might still behave as a 14 year old emotionally and mentally because the drugs took the place of the very hard work of learning to self-regulate and tolerate discomfort. Adolescents are doing incredibly hard developmental work. So, the character of Joy in the movie, in response to the threat of the move to a new location, becomes very rigid and needs everything to be “all or nothing”. Joy is afraid and does what most of us do when we are afraid. We frantically look for what we can control. Either Joy must be in charge all of the time or Sadness must leave completely. In the process, the little girl checks out and stops doing things she enjoys. She becomes pretty flat…not sad or happy. If she isn’t flat she becomes moody and angry. Anger steps in to lead while Sadness and Joy are duking it out. Brilliant. Exactly what often happens to adolescents…and in us adults, too. Until she learns to tolerate Joy and Sadness living together side by side, she almost loses herself completely. I’m not sure where you are or what you are doing or what you are facing. I don’t know if it is something external that everyone can see or if it is deep in your heart and barely expressible, must less visible. But, I can almost bet you are on a bear hunt. Guess you have to go through it. I can almost bet you are on a bear hunt…and I pray you aren’t afraid, but if you are I pray you have someone to remind you that sometimes Sadness is not the enemy. Sometimes we need stones to help us stay grounded. Sometimes we need the peanut butter river to slow us down. And, sometimes none of it makes any sense…it is just icky, sticky, and…SLOW. I hope someone reminds you that one day you will wake up and you will have made it to the other side. If not, here I am doing just that.